Compared to what was dragged in, I guess she is. ^ They are really scraping the bottom of the barrel with that comment, eh? If that is what is classy, then there's seriously no hope. Class by default. Help Us All. That is no a original Pcture. That`s two picture together. 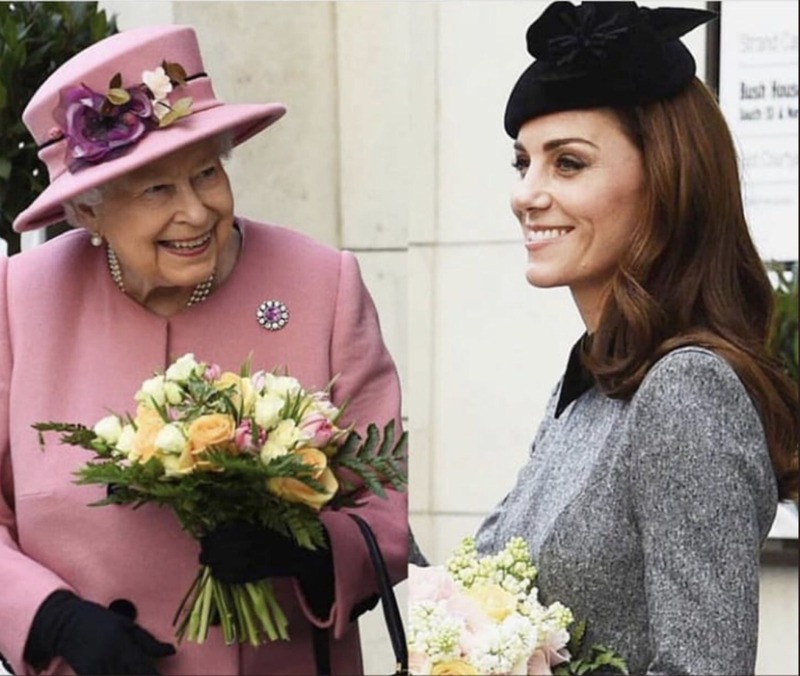 It is still a good photo of the Queen and a good one of Kate. They both looked very nice yesterday. ^One engagement and she's suddenly redeemed? Sorry - same old useless woman. Pity the Queen if this never-changed vacant and shallow creature has to follow her. ^Kate has been backfiring her entire life - still the same character she's always been. Just because she tows the line could suggest she doesn't have any true power - she's not a decent, intelligent, capable or interesting personality. She's just as hungry for position as the other one. Worse because her own pathetic excuse of a mother put her up to this life and to date she has done nothing but coast. She's never gone beyond a self-serving parasite/doormat.